Happy Memorial Day! 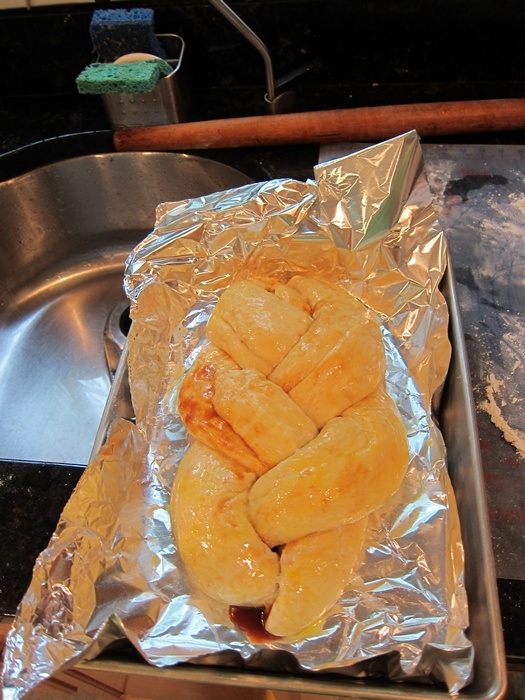 May’s Daring Bakers’ Challenge was pretty twisted – Ruth from The Crafts of Mommyhood challenged us to make challah! Using recipes from all over, and tips from “A Taste of Challah,” by Tamar Ansh, she encouraged us to bake beautifully braided breads. I had some sourdough starter that I’d been neglecting and my mom wanted me to do something with, and I’d seen a caramel apple challah sourdough recipe, so I knew what I had to do. Unfortunately, I didn’t have enough eggs in the house for any of the sourdough challah recipes I saw, so I sort of…made my own? It came out pretty good, especially for an experiment, although I wish I’d cooked the caramel of the filling a few seconds less. 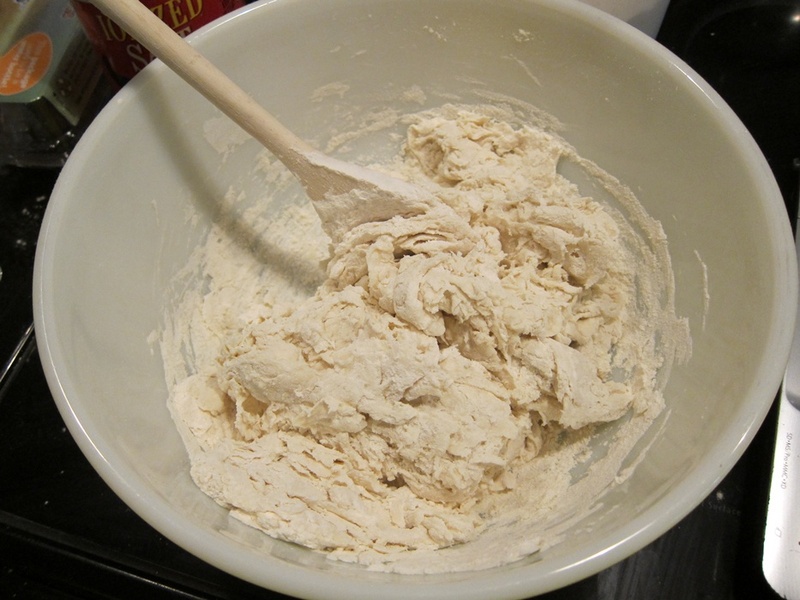 To make the dough, stir together the starter, water, and three cups of the flour. Add the sugar, eggs, and salt, and stir together. 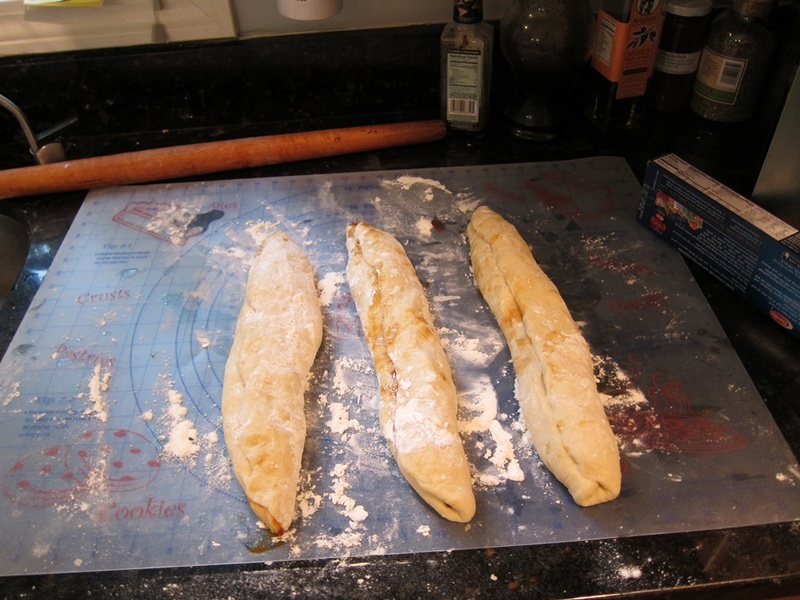 Sprinkle half a cup of the remaining flour on a clean surface and turn the dough out on it. Knead until smooth and only lightly tacky, adding as much of the last half cup of flour as necessary – I needed just over 3 1/2 total. Place dough in a greased bowl, cover, and let rise 3 hours. In the meantime, make the filling. 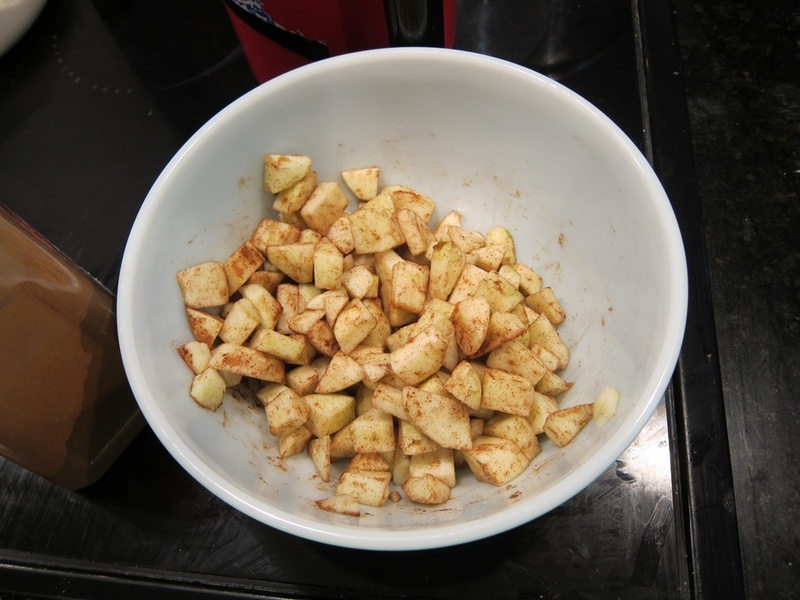 Combine the chopped apples with the spices, lemon juice, and flour in a bowl and set aside. Put the sugar in a heavy-bottomed saucepan and add the water. Cook over medium heat until the sugar dissolves. 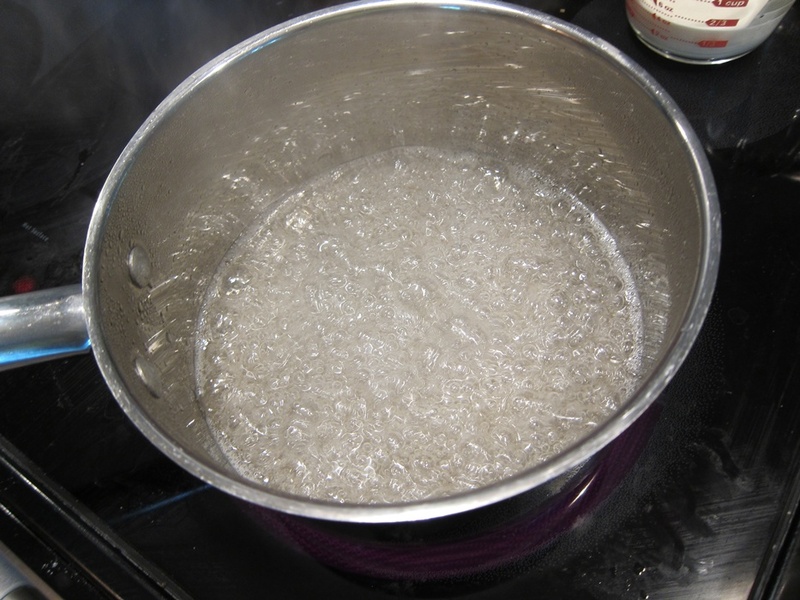 Raise the heat to high and boil until the sugar turns medium brown, 5-7 minutes. Realistically… a few seconds too late. Oops. Still tasted good in the final product, but was a bit too bitter to eat alone because it was slightly overcooked. 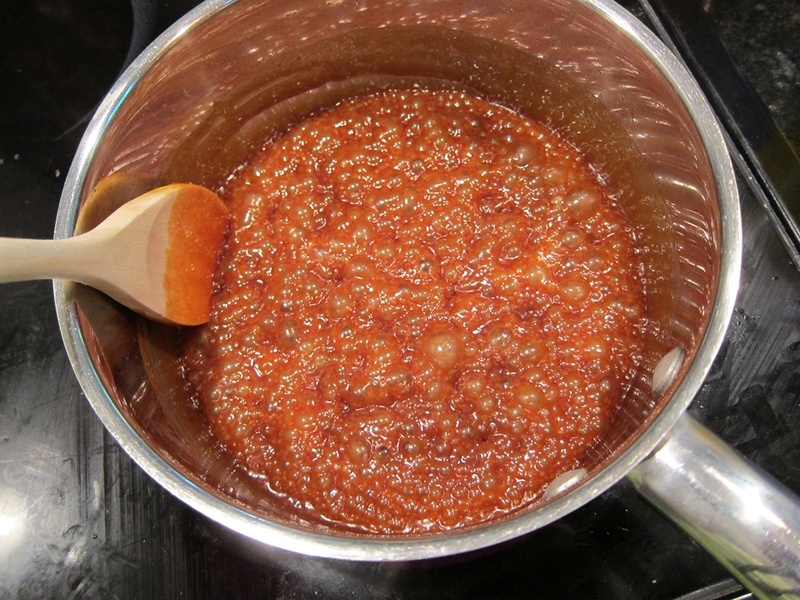 When medium brown, lower the heat and gradually add the cream and butter, being careful of spattering sugar. Simmer, stirring with a wooden spoon, until smooth and thick, about two minutes. Stir in the sea salt. Remove from heat and cool about three minutes. Stir in the apples. Let cool to room temperature. Store whatever’s not used in the bread to put on ice cream, pound cake, or just eat off a spoon. When the apples are cooled and the dough has risen, divide the dough into three portions. Roll out into roughly 1/2″ thick ovals and spoon some of the apple mixture down each piece. Carefully pinch together each piece into a (somewhat stumpy) rope, sealing as tightly as possible. 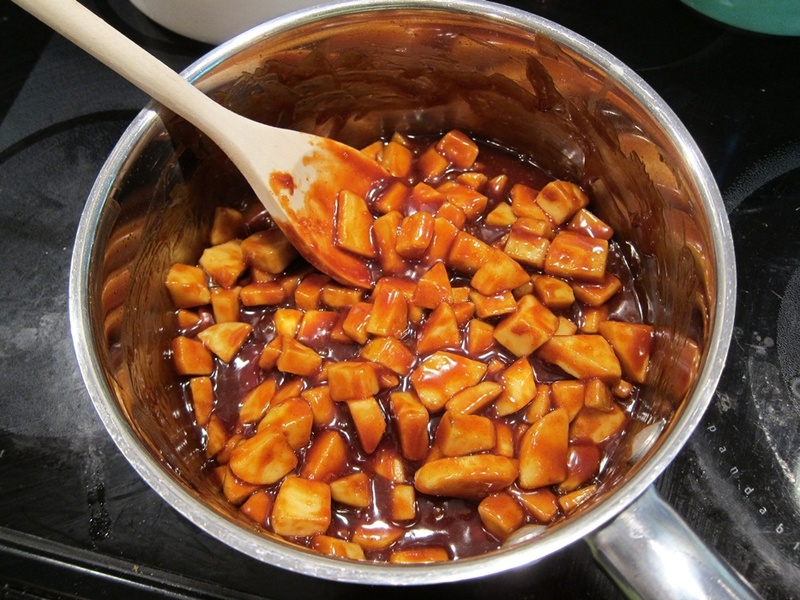 Be careful not to get the caramel on the edges or they’re virtually impossible to seal. Braid the three ropes together, then transfer to a foil-lined baking pan. 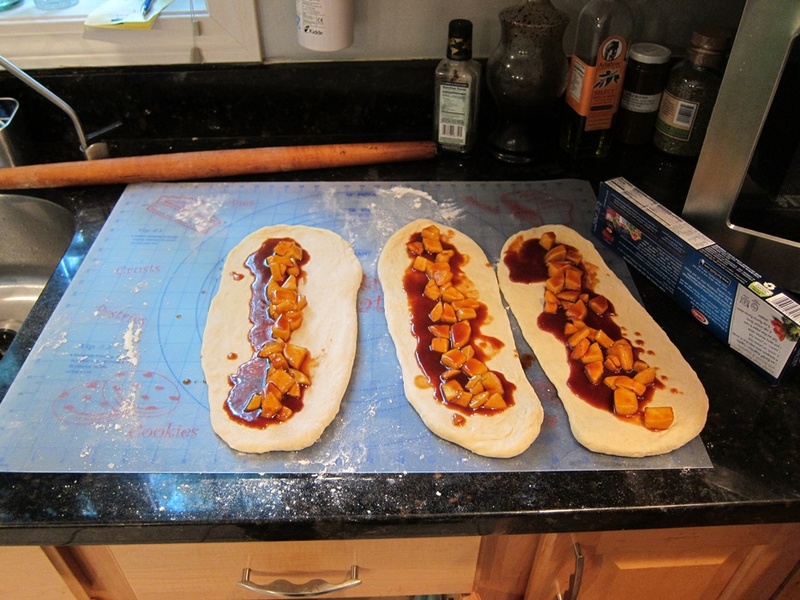 I used a 9X13″ dish, as this had to fit in the oven with a few other things, and a cookie sheet wouldn’t’ve cut it. Brush with the egg/water mixture. Cover and let rise one hour. Preheat the oven to 350 degrees, and rebrush the top with the egg wash.
Bake until browned, 60-65 minutes. Let cool fully before slicing. I grilled a few slices of this on a greased pan and it made a pretty fabulous breakfast. Yum! Filling and idea from Parsley, Sage, Desserts and Line Drives. 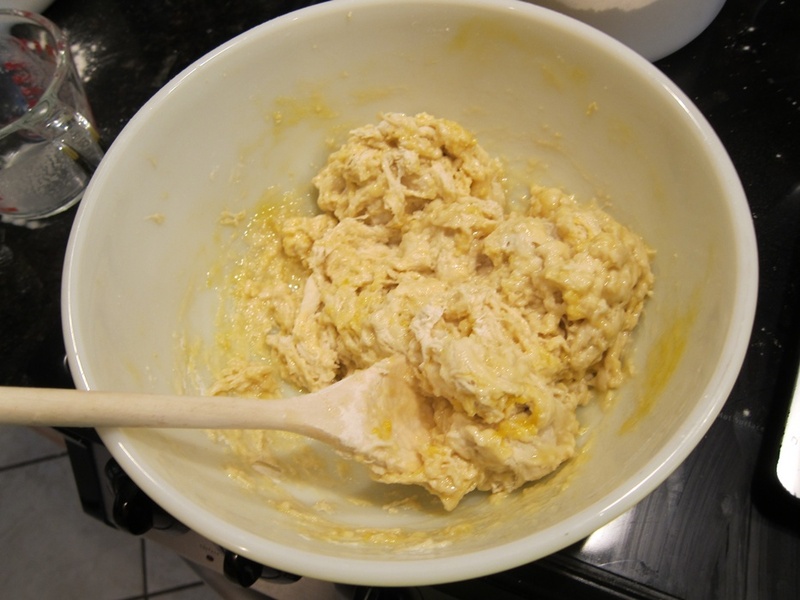 To make the dough, stir together the starter, water, and three cups of the flour. Add the sugar, eggs, and salt, and stir together. 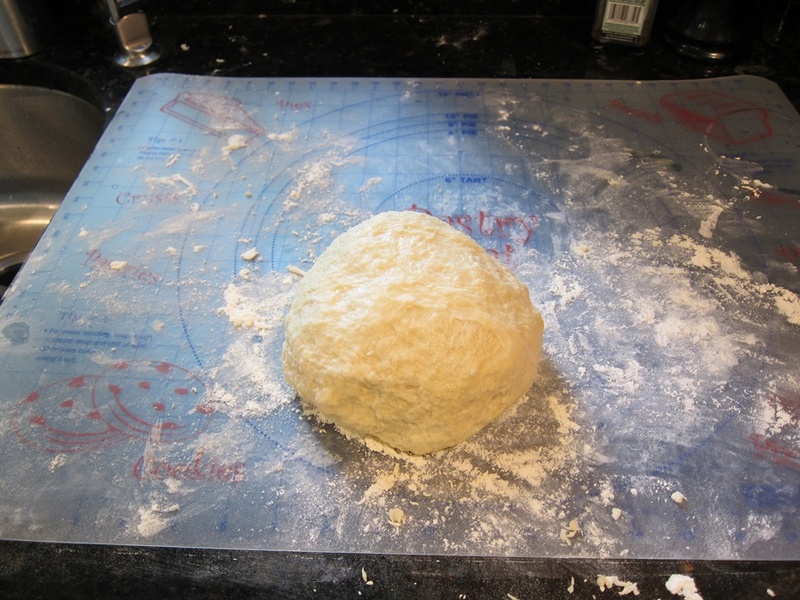 Sprinkle half a cup of the remaining flour on a clean surface and turn the dough out on it. Knead until smooth and only lightly tacky, adding as much of the last half cup of flour as necessary. Place dough in a greased bowl, cover, and let rise 3 hours. Put the sugar in a heavy-bottomed saucepan and add the water. Cook over medium heat until the sugar dissolves. 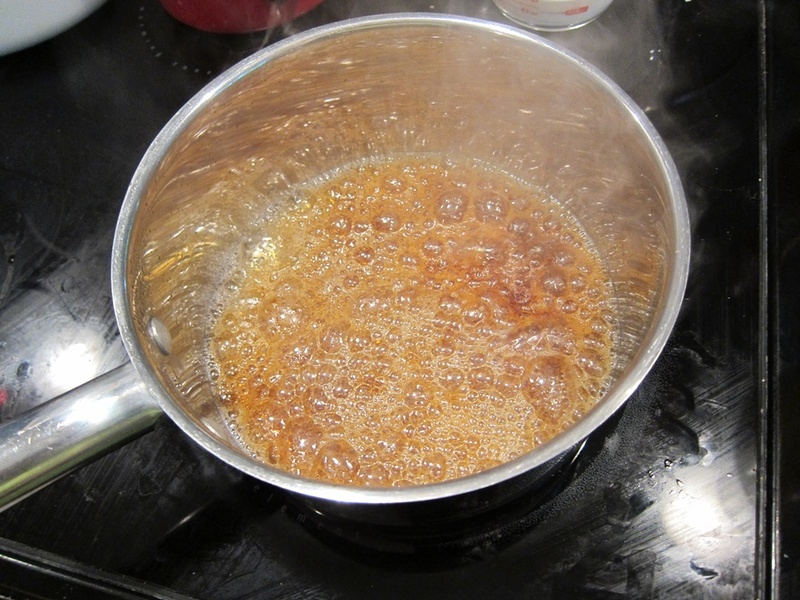 Raise the heat to high and boil until the sugar turns medium brown, 5-7 minutes. Lower the heat and gradually add the cream and butter, being careful of spattering sugar. 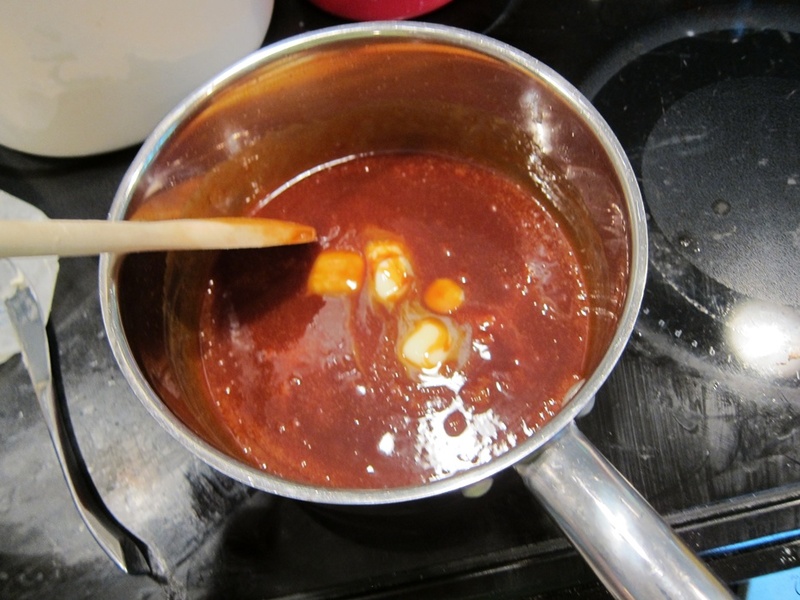 Simmer, stirring with a wooden spoon, until smooth and thick, about two minutes. Stir in the sea salt. Remove from heat and cool about three minutes. Stir in the apples. Let cool to room temperature. When the apples are cooled and the dough has risen, divide the dough into three portions. Roll out into roughly 1/2″ thick ovals and spoon some of the apple mixture down each piece. Carefully pinch together each piece into a rope, sealing as tightly as possible. Braid the three ropes together, then transfer to a foil-lined baking pan. Brush with the egg/water mixture. Cover and let rise one hour. 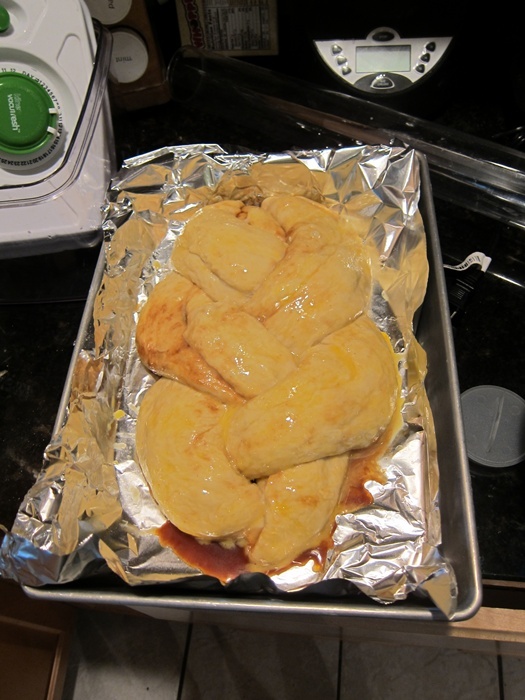 Preheat the oven to 350 degrees, and rebrush the top with the egg wash. Bake until browned, 60-65 minutes. Let cool fully before slicing. 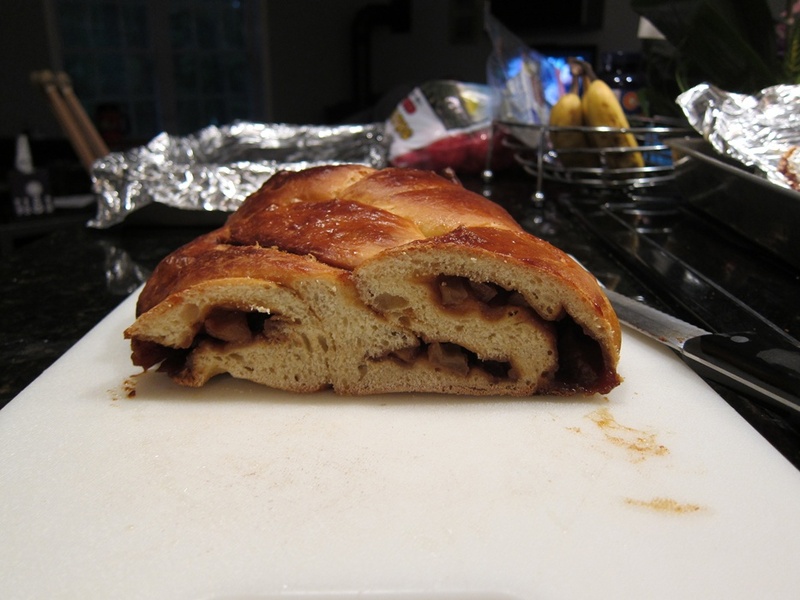 This entry was posted in Bread and tagged challah, Daring Bakers. Bookmark the permalink. I love the creativity and how you made the recipe work for you and what you had availible! 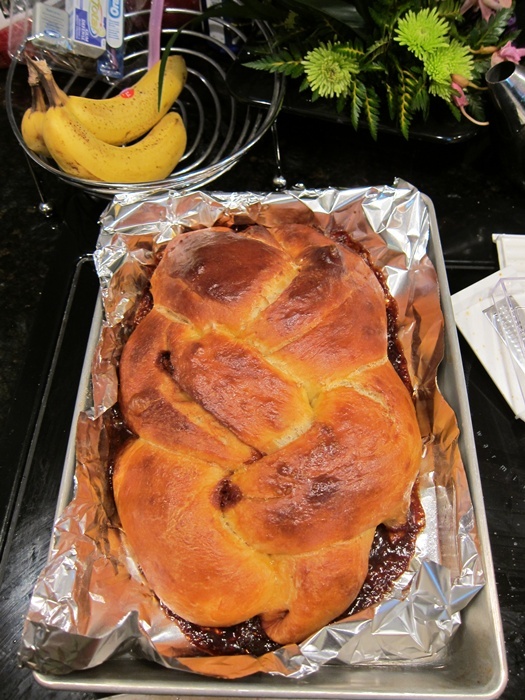 Your challah looks and sounds amazing, I hope it tasted even half as good as it seems! Thank you so much for baking with me this month! Thanks for the challenge! It was fun having to be a bit creative – so often I just follow the recipe and it tastes good but there’s nothing new and exciting about it.